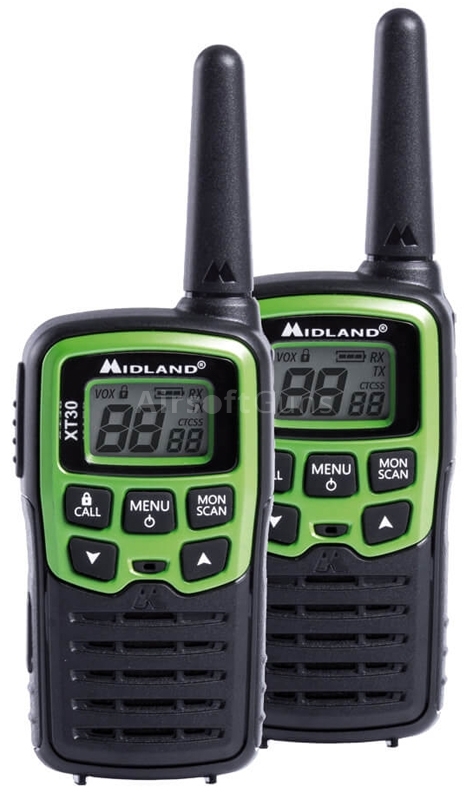 Hand-operated radio PMR Midland XT30 is the lower class of radios from the German brand Midland. Operation without charges and special permits, ease of use and range up to 6 kilometres. Stations are sold in pairs along with rechargeable batteries and USB cable. 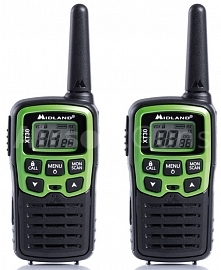 Hand-operated radio PMR Midland XT30 is the lower class of radios from the German brand Midland. Operation without charges and special permits, ease of use and range up to 6 kilometres. 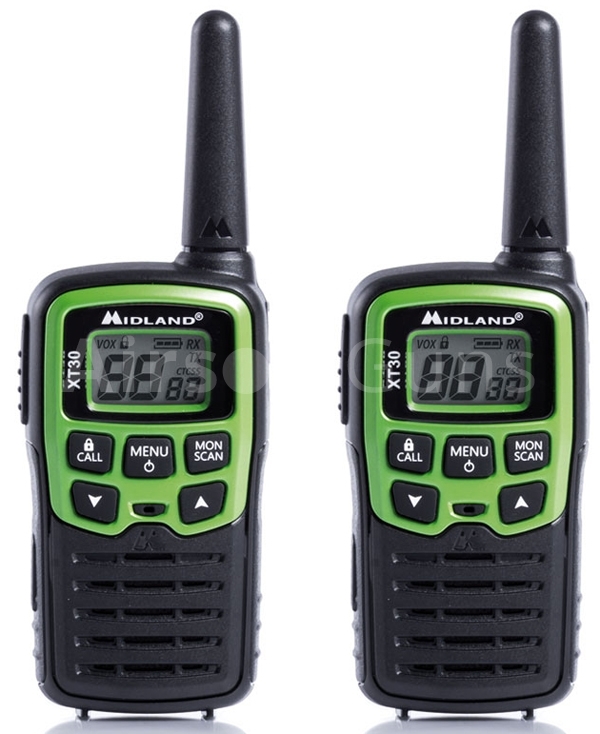 XT30 has a built-in selective choice CTCSS (8 PMR and 8 preprogrammed voice channels + 38 CTCSS), Roger beep (concompanyation tone), lock button, battery condition, POWER SAFE, scanning channels, automatic noise reduction, monitoring functions and the ability to broadcast voice switching (VOX). Station can connect a headset or handsfree connector type Midland. 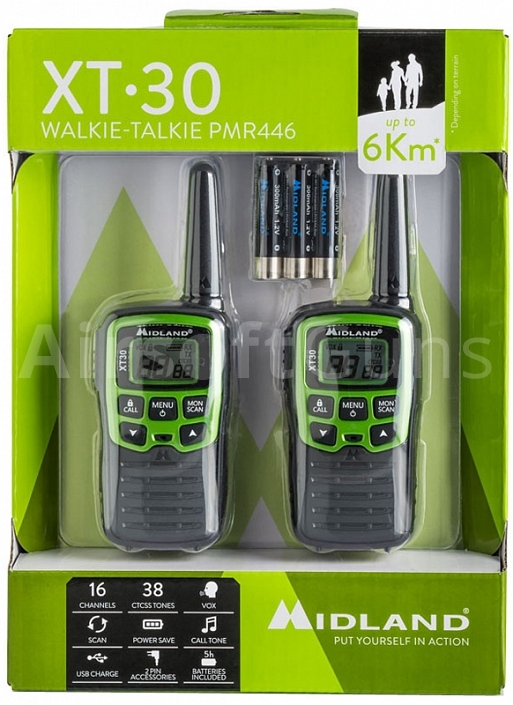 The package includes 6 pcs rechargeable AAA batteries (300 mAh, life up to 5hrs. ), USB/micro USB charging cable and two clips to your belt..